The office I work at is located in a business park which is well off the beaten track. 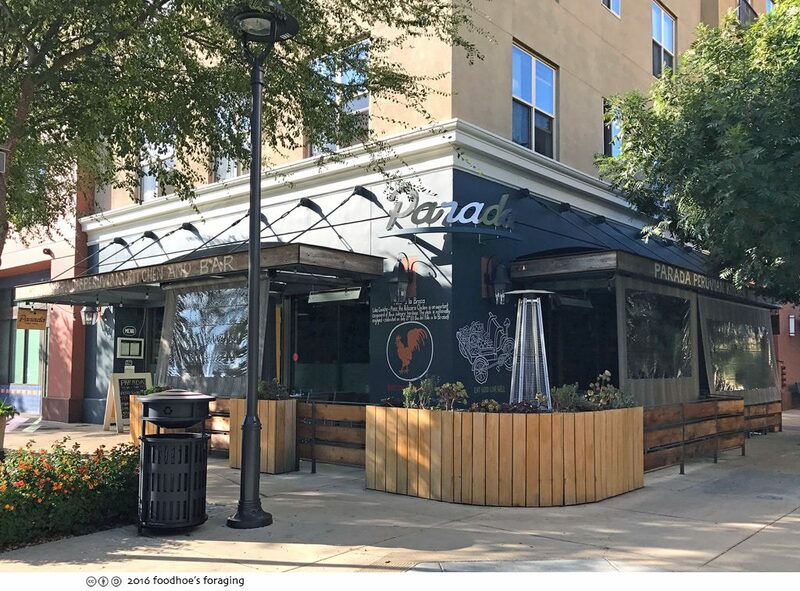 I was so excited when chef Carlos Altamirano opened a Peruvian comfort food restaurant nearby called Parada Kitchen, which is named for a famous food market in Lima, Peru. He has a couple of restaurants in the City, but I’ve have only been to his stunning La Costanera restaurant with breathtaking views in Montara, which you can read about here. 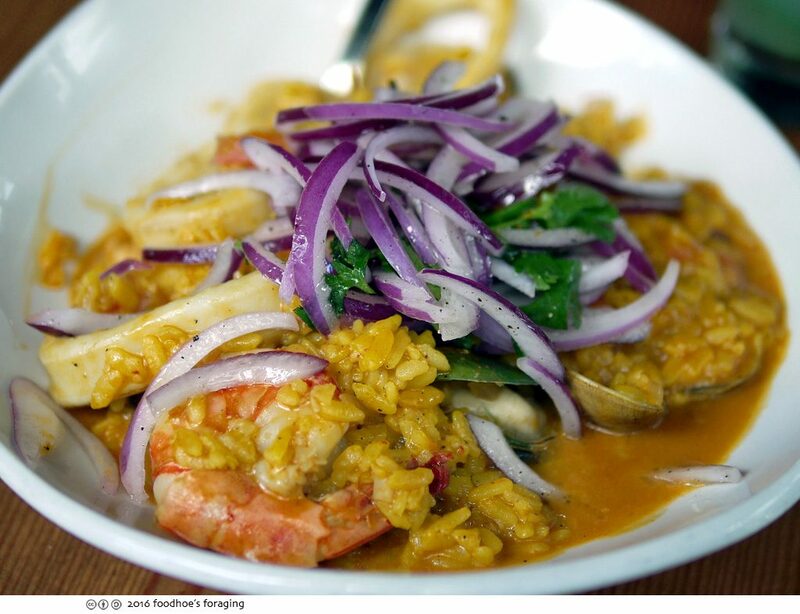 The chef is dedicated to sharing the flavors of his homeland and even has a local farm where he grows his own rocoto chilies, a fundamental ingredient of Peruvian cuisine. 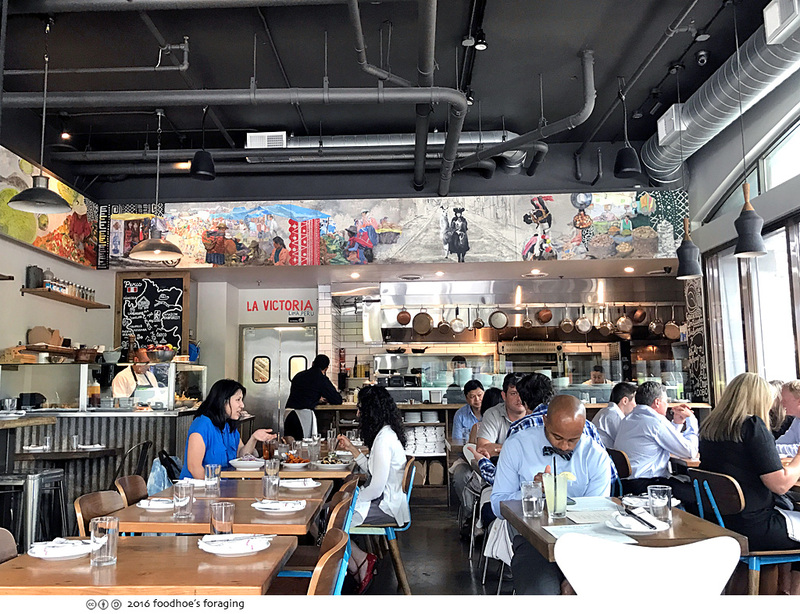 The restaurant bustles surprisingly because it is a culinary amazement for the area and is a beacon for hipsters, families, and local workers on an expense account (because it is a bit pricey). Inside the restaurant can get really noisy but they have an outside patio area that is quieter and lovely when the weather is nice (which it usually is). They will drop off a little cup of Cancha to start with, a popular snack in Peru and Ecuador that is made from a special variety of large-kerneled corn called maíz chulpe or maíz cancha chulpe. 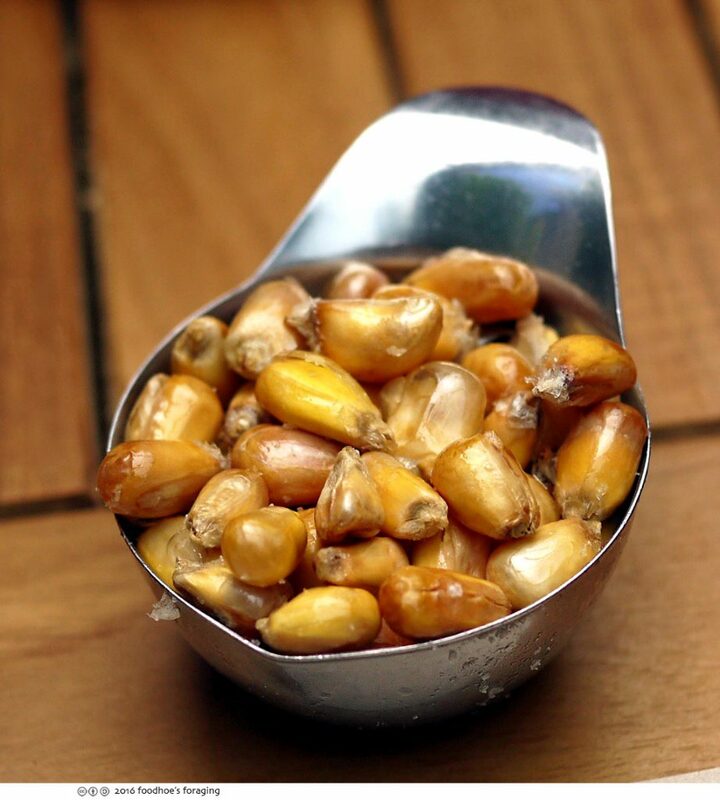 The dried kernels are tossed with oil and toasted in a hot skillet until they are browned. The interior of the kernels do not burst out and puff up like popcorn, but become lightly puffed and toasted and when sprinkled with a little salt are addictive as all get out. I sat next to a table who all ordered the Lima Mojito sans alcohol ($7), which inspired me to order one too. 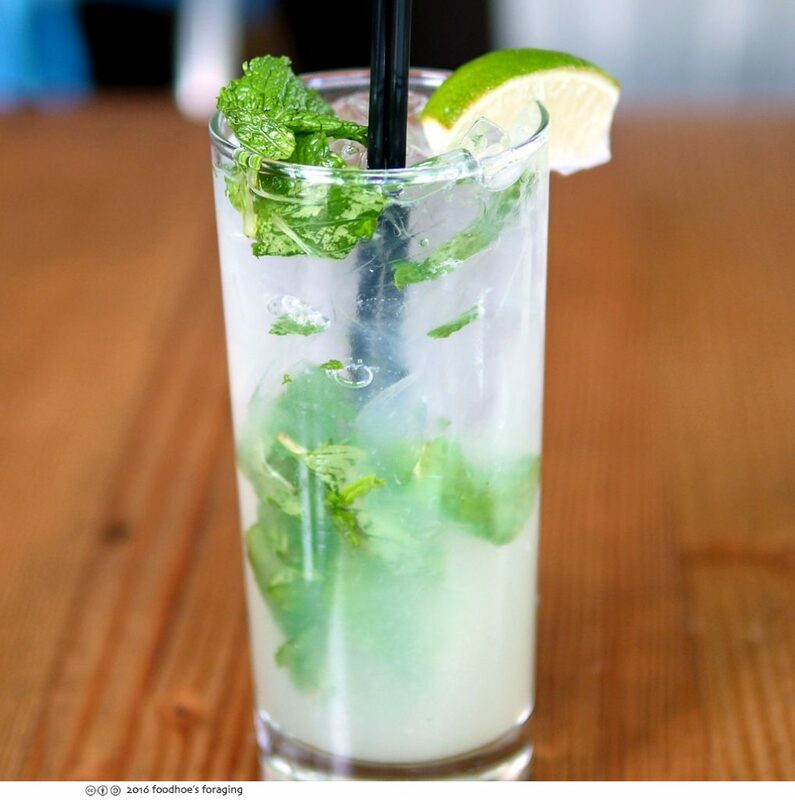 It was refreshingly tart and flavorful with lime, simple syrup and lots of mint. Loved it, I highly recommend this! 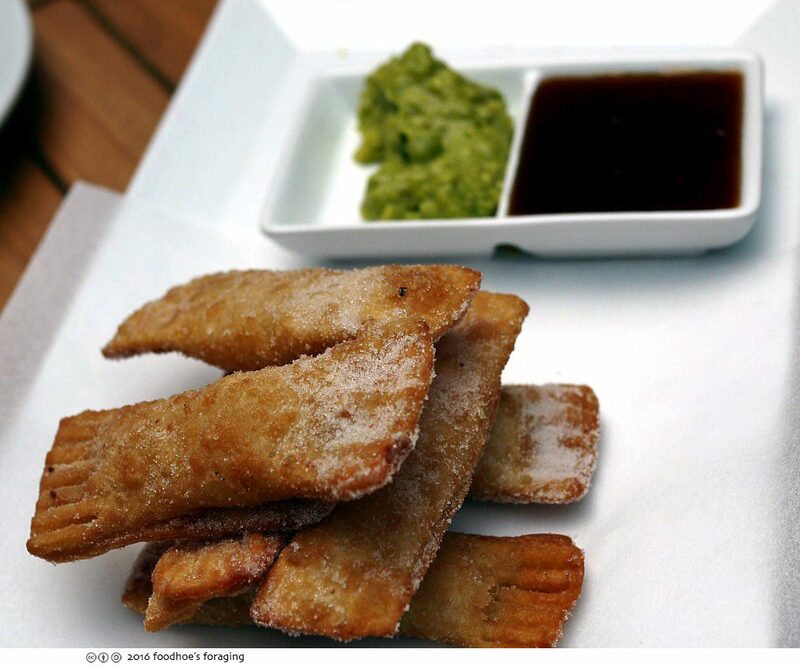 Tequeños ($9.50) are fried stick shaped wontons filled with shrimp and queso and served with puréed avocado and panela sauce. 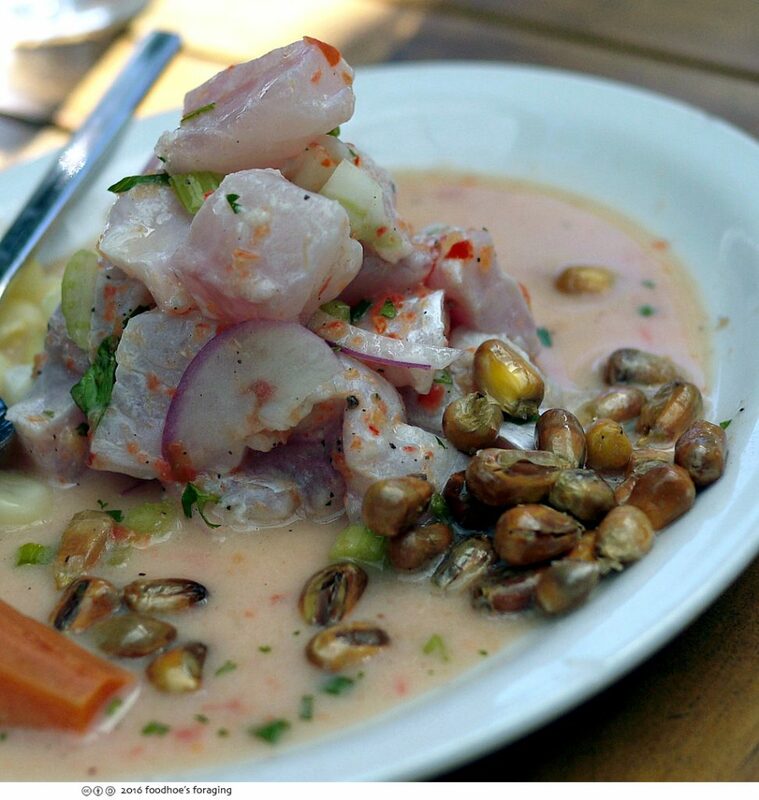 Of course you must order the ceviche, which is the national dish of Peru. The Cebiche Pescado ($14.50) is fresh fish of the day marinated in leche de tigre, the mixture of lime juice, red onion, aji rocoto chili peppers, salt and pepper which is known as “milk of the tiger” that is believed to have aphrodisiac properties, is a cure for hangovers and is a magical stimulant, so many people drink it after they finish the fish. The Cebiche Tasting ($22) is a variety of the Cebiche Pescado, Cebiche Mixto, which is a combination of calamari, mussels and clams in rocoto leche de tigre, and Cebiche Chino-Peruano, made with ahi tuna, rocoto-hoisin leche de tigre, daikon, served with sweet potato and two types of the corn. 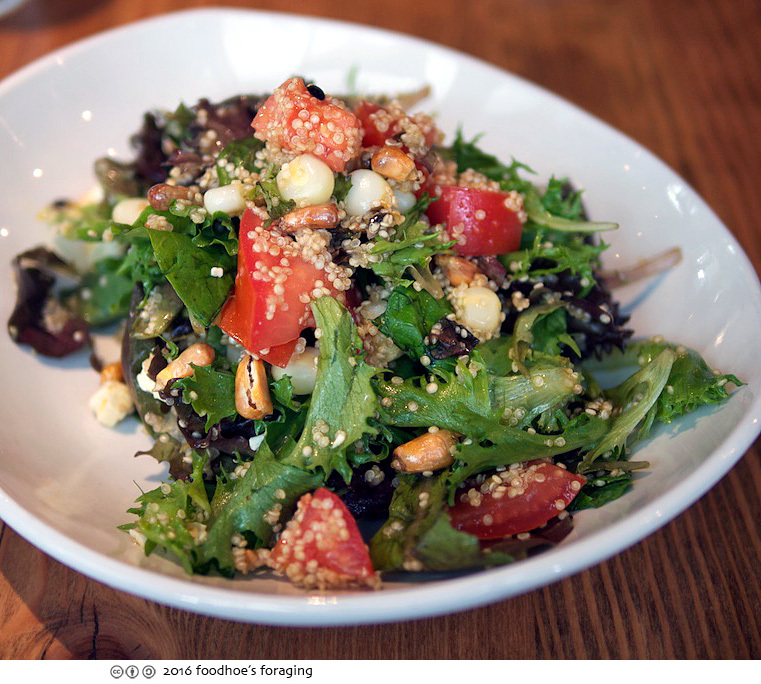 The Quinoa Salad ($9) is made with organic quinoa, mixed field greens, tomato, Andean corn, queso fresco with lime-passion fruit vinaigrette, which was a little too sweet for my taste. 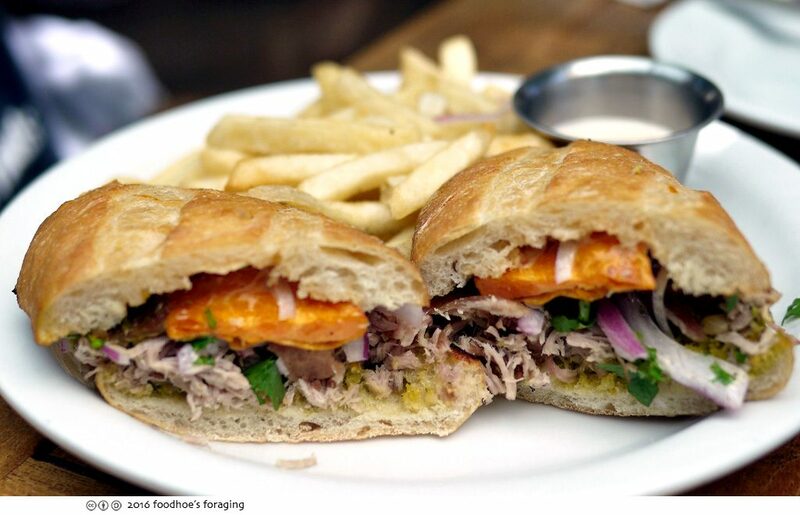 The Pollo a la Brasa ($12.50) is made with their famous rotisserie chicken, salsa brasa, and cheddar cheese. 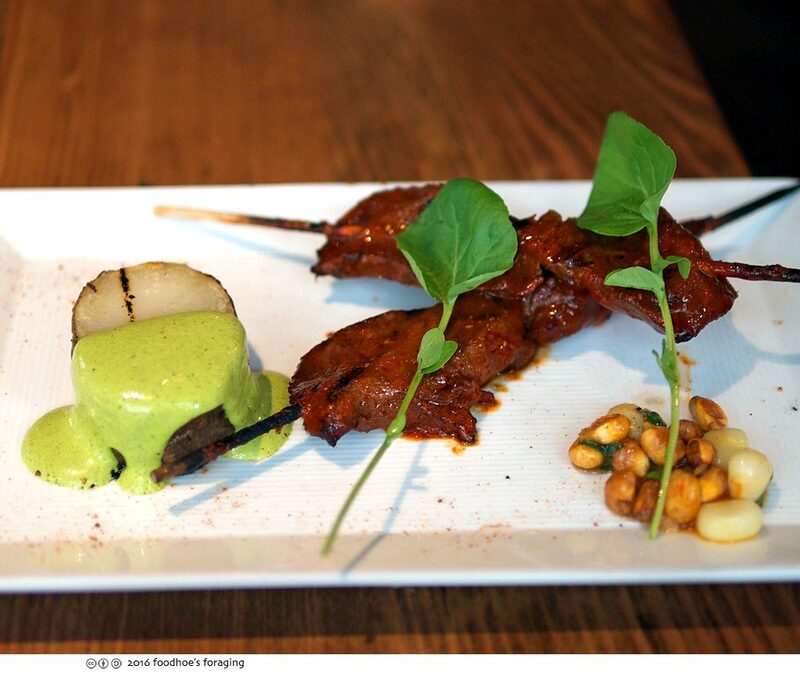 The Anticuchos or Skewers are Peru inspired street cart vendor grilled skewers, marinated in panca paste and Peruvian spices. 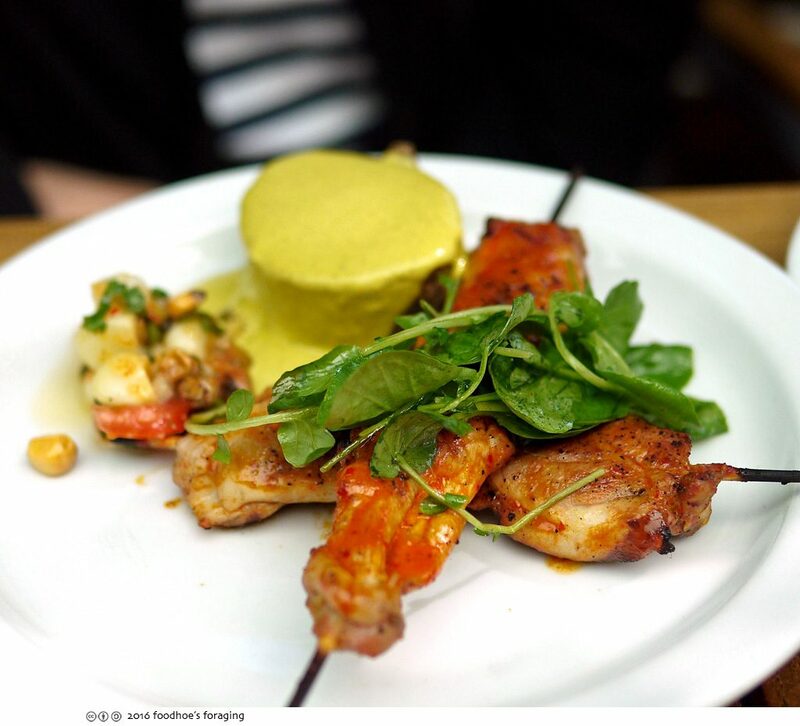 This is the Chicken skewers ($13) which comes with a thick slice of potato and a little salad made from Peruvian corn. I loved the Beef Heart skewers ($13) which were tender and infused with the spicy mixture. 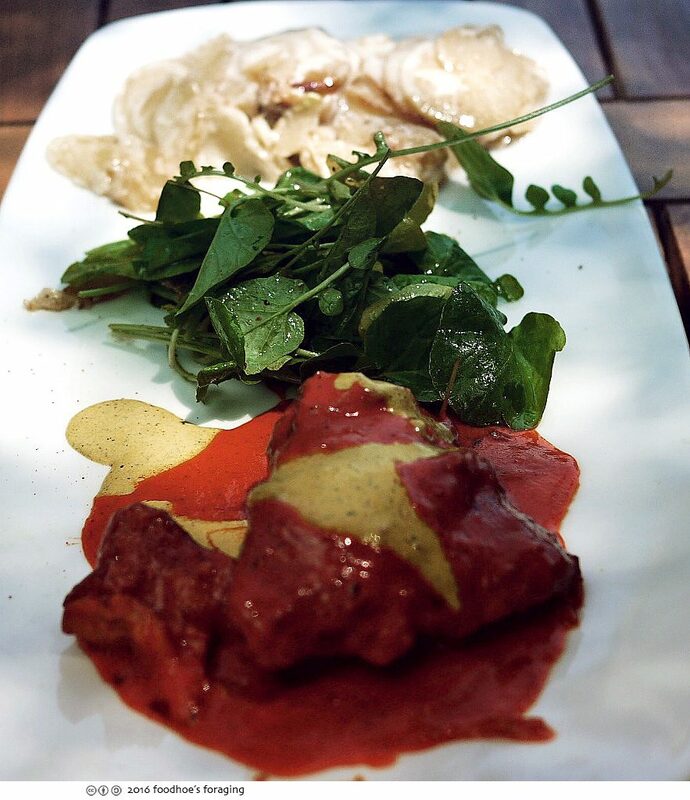 The Adobo ($18) is a plate full of decadent Snake River pork shoulder, slow braised in Cusqueña-aji panca sauce, rich creamy potato gratin and a brightly flavored salad of upland cress. 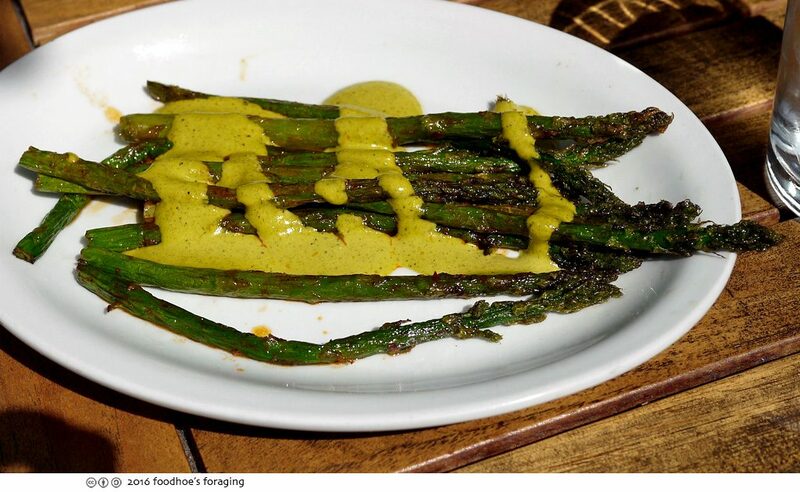 The sauces are vibrant and full of spicy flavor. 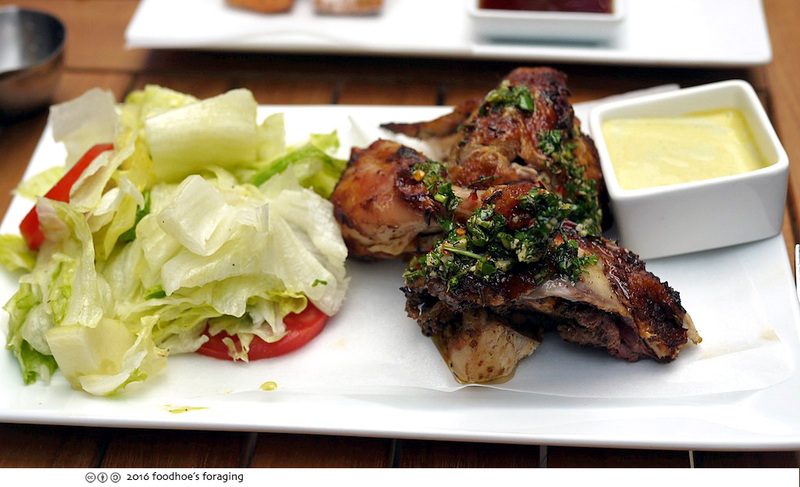 The signature dish is the Pollo a la Brasa (½ Chicken $15.95) made with Mary’s rotisserie chicken, prepared with traditional Peruvian spices and cooking techniques. The meal comes with French fries and 2 sauces, or you can swap out for salad, which was a sad pile of iceberg lettuce drizzled with an overly sweet dressing. 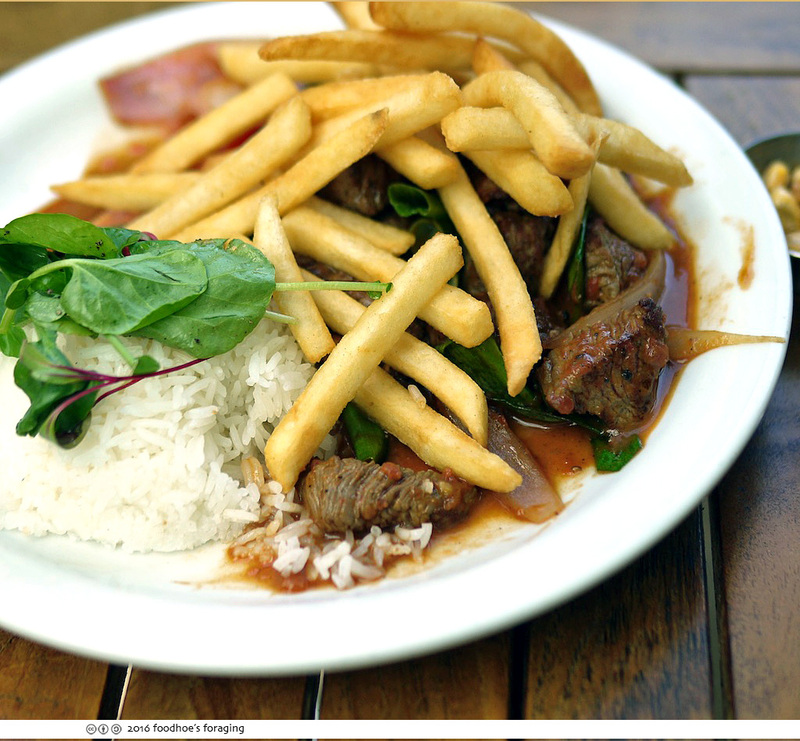 The Lomo Saltado ($23) is a wonderful Peruvian specialty that showcases the influence of Chinese techniques with beef tenderloin stir-fried with onions, tomatoes, soy sauce and Peruvian spices, served with steamed rice and topped with crisp fries. You can add fried egg for $3. 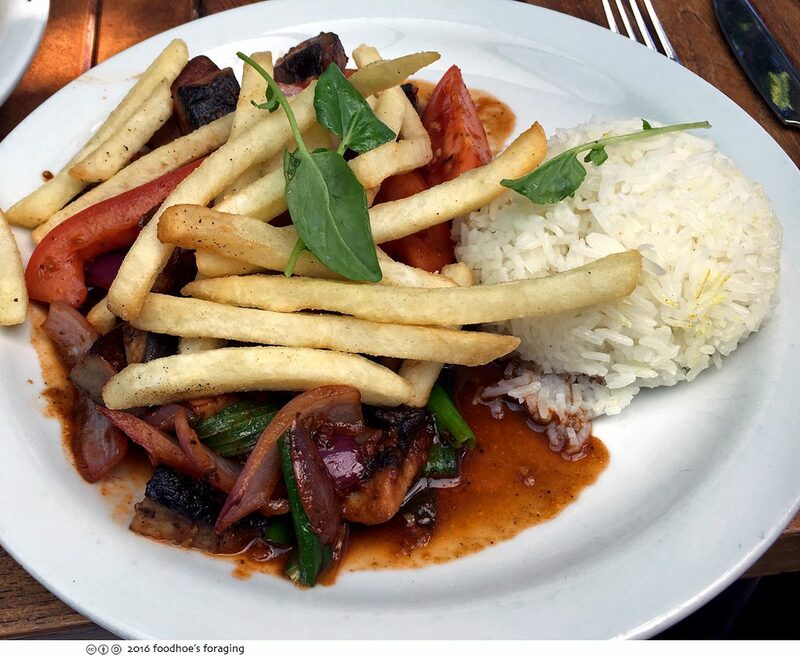 The Mushroom Saltado ($16) was just as satisfying, in fact I loved how the spicy tart flavors of the stir fried vegetables with the aromatic steamed rice provided a fresh and lively counterpoint to the crisp fries. Another very popular dish is the Arroz con Mariscos ($22), a Peruvian style seafood paella, made with bomba rice, saffron-paprika base and Peruvian beer. 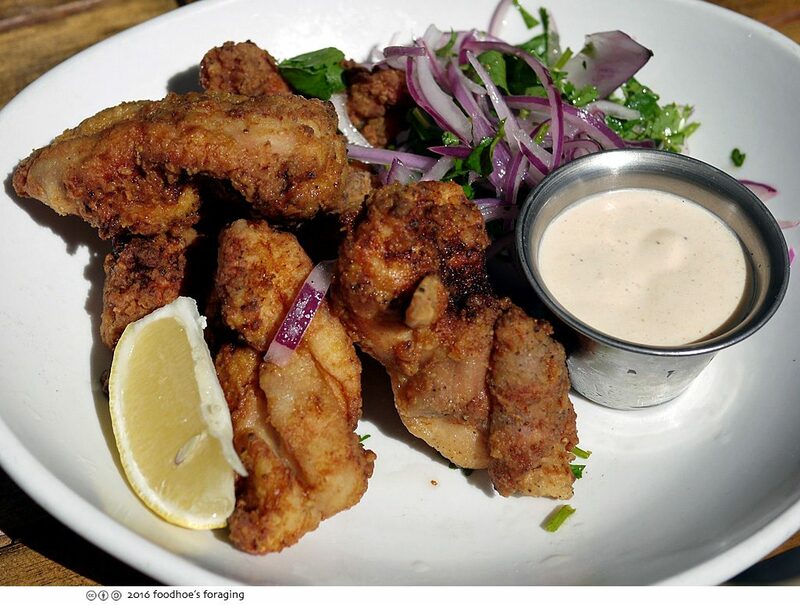 They also have a variety of Chicharrones de la Casa, chicken ($13), calamari ($14), oysters ($15) or Jaleaa – mixed seafood ($21), which are breaded and fried and topped with a bright, refreshing, slightly spicy salad of lime-marinated red onion, tomato, and cilantro. 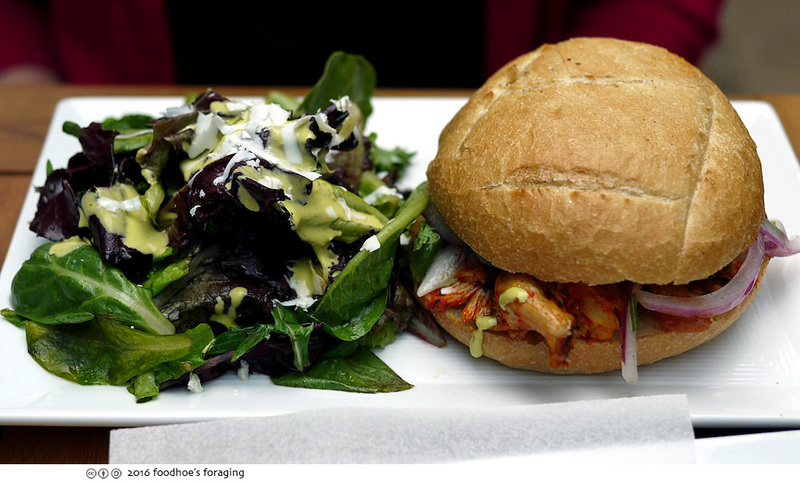 This is the Chicken, which came with a wedge of lemon and cup of spicy criollo aioli. you hit the jackpot on lunch establishments near the workplace! I am so hungry after reading your post! 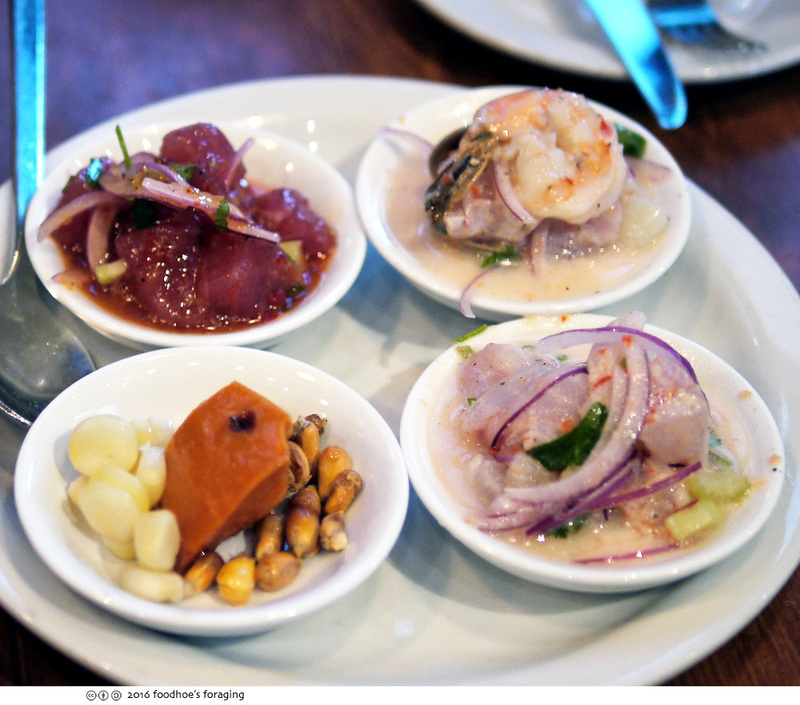 Everything looks very colorful and flavorful, and the ceviche is especially tempting. 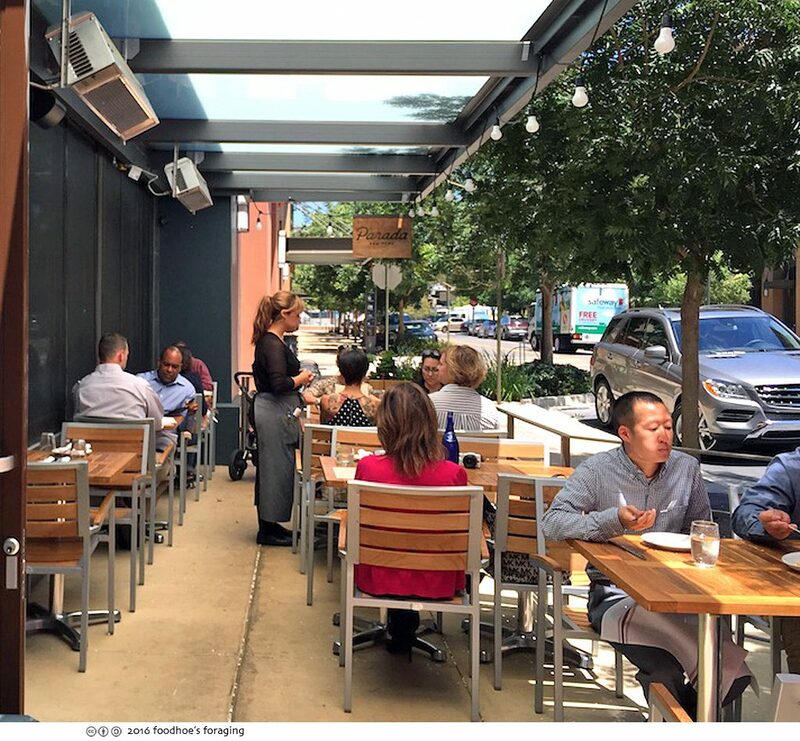 Glad that the food scene is growing in WC. I wish we worked together so we can feast like this all the time!